I have to start this out by saying Mrs. Meyers and her Lavender cleaner has the most calming and loving affect on our household. It is my absolute favorite product with Borax and white vinegar coming in second. and now…Mrs.Meyers has a website The peppermint soap and soy candles look amazing. This is a checklist I got from Real estate.com several years ago and still use. Though it is Spring in half the world I think you can use this list any change of season. 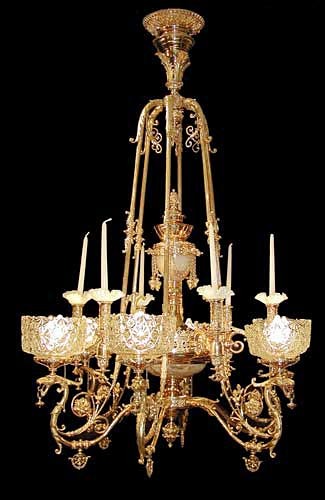 Please note – we do not have a chandelier but I leave it in because someday I will visit that Paris market or that Shabby Chic Estate/Hotel sale. Because of the coming snows yard clean up is still very much the issue as well and now I wish I had started two months ago like my older and wiser neighbors. I am sad to see the garden go. Fall is a good time to give your home a thorough cleaning. With the holidays approaching, you may have family coming to visit or parties to host. A deep fall cleaning gets your home ready for the holidays and company. your own favorite cleaning products. Wash down the baseboards and moldings. Clean the exterior of all of your cabinetry. Wash the porches and exterior doors with an attachment on your water hose. Clean the carpets. Nothing makes a home look better than freshly cleaned carpets. And, if you are worried about your niece spilling cherry pie on your freshly cleaned carpets, find a company that will come back within a specific timeframe to remove stains. Clean the chandeliers and light fixtures. Leave the chandelier in place to gently wash it – just place a towel below it to protect the furniture. Remove the light globes from the other light fixtures and soak them for cleaning. Wash the porch lights, too. Clean the attic. If you keep decorations in the attic, fall is a great time to clean it out. Toss any junk that has migrated up there. Also, vacuum it out by starting at the ceiling and working your way down (wear a mask). This can improve the air quality in your home. Your kitchen is going to work overtime during the holidays. Prepare it by cleaning the oven and range. Also, clean out the refrigerator and freezer to make room for all of those leftovers. Clean out the gutters when the leaves are through falling. Fall is a busy time, but you won’t regret taking the time for a deep cleaning for your home. Giving your home a deep cleaning can help it to look its best for the upcoming holidays. Previous “Dipped in liquid awesome” Next It is all perception and commitment.